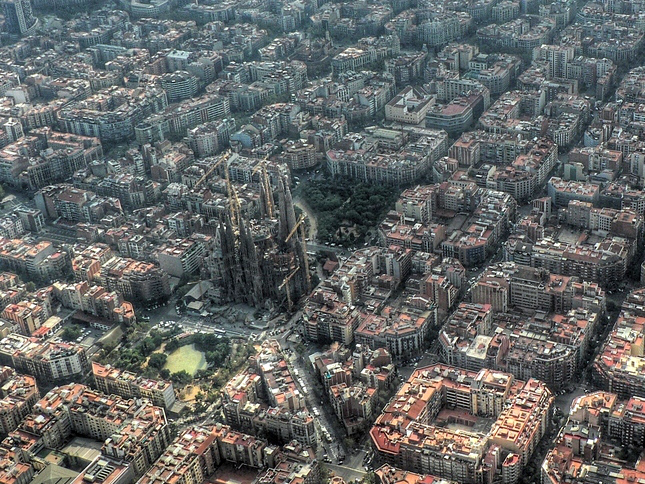 The Basilica and Expiatory Church of the Holy Family, known as “La Sagrada Familia”, is obviously one of the most beautiful building of Barcelona. Although its construction began in 1882, nobody really knows when it will be finished. It is said that in 2030, it will have been completed with 18 towers. ( one dedicated to Jesus, other to Mary, 12 to the apostles and 4 to the evangelists ). 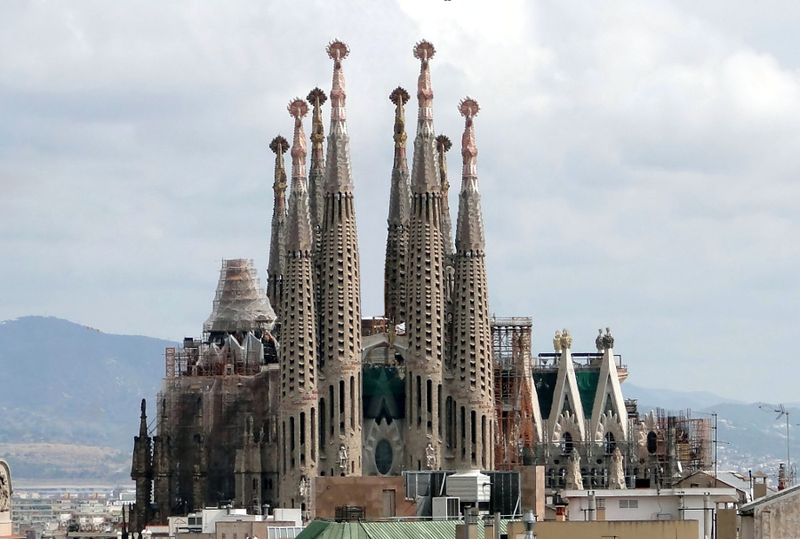 Nowadays, this wonderful church has more than enough artwork to be the landmark most visited of Barcelona, therefore it is a must for tourists that arrive in the Condal City see its outstanding architecture, design and sculptures. It is well worth a visit inside or outside. One can have heard other visitors talk about the spectacular Sagrada Familia, but until oneself sees it, it is impossible to imagine its absolutely unique artwork. Visitors will be absolutely spellbound when they look up and see the wonderful colourway of its stained glass windows, its high columns and the amazing ceiling. Besides, taking the lift to the towers (about 55 metres height one and 75 metres height another), they can see a breathtaking view of Barcelona, and go down the unbelievable narrow spiral staircase. 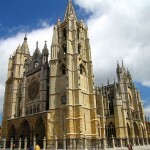 In addition, this church had been begun its construction in 1882 by the architect Francisco de Paula del Villar Lozano (1828-1901) who quit the direction of the project in 1883. Anyway, Antoni Gaudí i Cornet (1852-1926) designed the current project and directed the building from 1883 until his death on the 10th June of 1926. 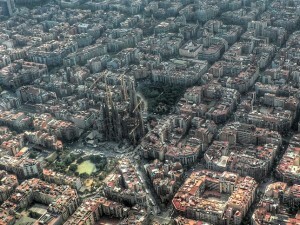 In fact, The Sagrada Familia is the masterwork of Antonio Gaudí, who was buried in the crypt of this church. To add, UNESCO declared it a World Heritage Site. Queues are very long, so tourists should book the ticket in advance to avoid the wait. It is in city centre. Better go on foot. 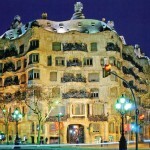 – Casa Mila: Popularly known as La Pedrera, Casa Mila is a unique modernist building located at Paseo de Gracia. 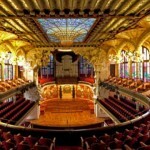 The building was designed by architect Antoni Gaudí and built between 1906 and 1912. – Las Ramblas Avenue: Las Ramblas goes from Catalonia Square to the seaport, and it has a lot of cafes, terraces, pubs and discotheques. 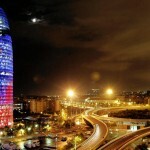 In the end of the street, there is the Cristobal Colon statue, one of the icons of Barcelona. – Columbus Monument (Monumento a Colón): One of the most famous statues of Barcelona city. It was built in 1888 for a Universal Exposition and it represents a statue of Christopher Columbus (Cristobal Colon) above a pillar, pointing with his right hand to the sea.